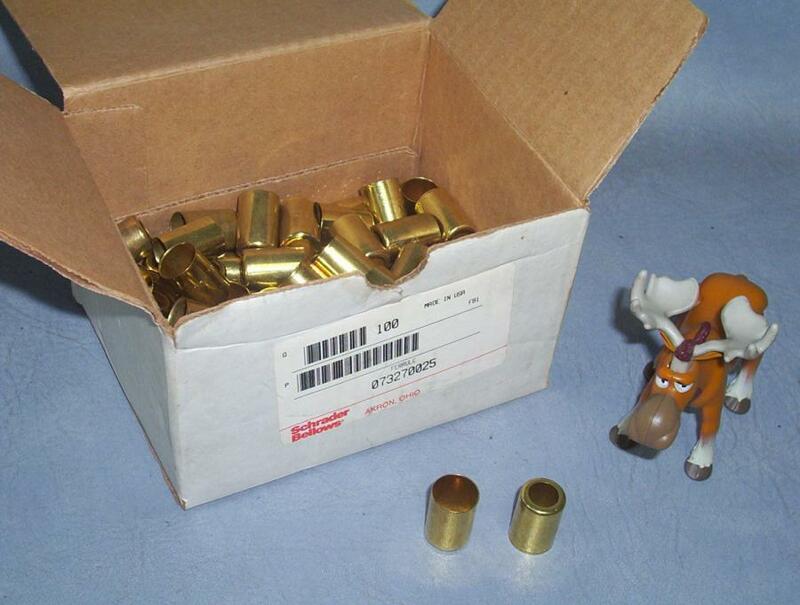 Box of 71 Schrader Bellows Ferrules part # 073270025. The part itself says 7327. Brass; Approximate Measurements: 1 Long 11/16 OD.